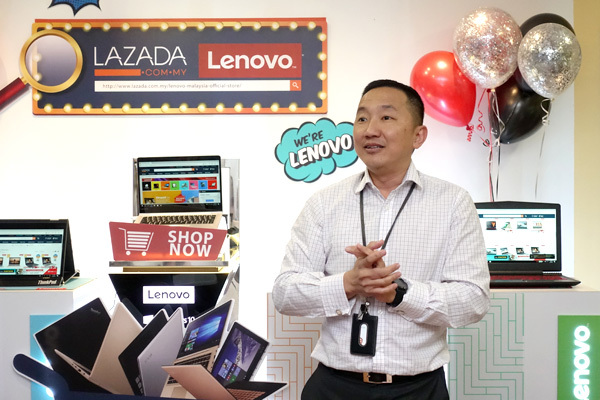 Malaysia (17 August 2017) — Lenovo, the leading global tech company and PC manufacturer, today announced the launch of their Official Store on Lazada Malaysia, the number one online shopping and selling platform in the country. The Lenovo Malaysia Official Store further strengthens the company’s online retailing efforts in order to meet the needs of customers seeking greater choice and convenience. To mark the occasion, Lenovo is offering the newest addition to their IdeaPad series, the IdeaPad 120S, exclusively on Lazada. With only limited units available, this device will be available from today until stocks last. Lenovo is also offering a discount worth RM 100 for the first 100 buyers for the IdeaPad 320 (2TB model). Both devices are available on Lenovo’s Official Store on Lazada here: bit.ly/2uHLoh7. The Malaysian e-commerce market presents significant opportunities for growth. The number of users who enjoy online shopping has increased sharply by 161% since 2015. By unveiling the Lenovo Official Lazada Store as another channel through which customers can find their devices, Lenovo is making itself available wherever its customers are. “Today marks another important milestone in our mission to better serve our customers in Malaysia. By being able to sell our award-winning and cutting-edge products on the country’s number one e-commerce platform, Malaysians can avoid the hustle and bustle of the crowds and browse and purchase our products with a click of a button,” said Khoo Hung Chuan, General Manager, Lenovo Malaysia and Singapore. 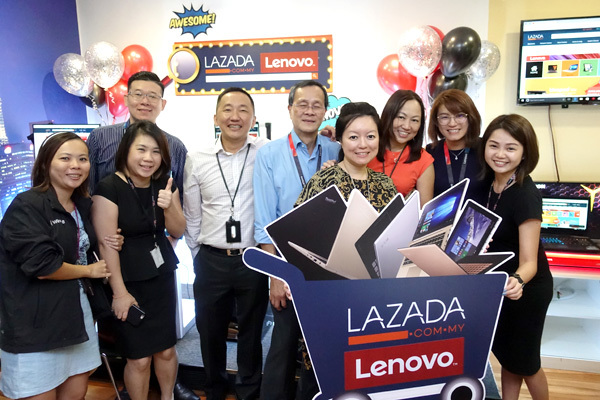 “Launching the Lenovo Official Lazada Store is a testament to our shared value of continuously providing customers with accessibility to their favourite brands. We want to ensure that our customers also experience a positive online shopping experience that is seamless, convenient and fast. Lenovo is one of the most reputable brands that we have worked with and will continue to do so as we keep on building trust and loyalty among our customers,” said Hans-Peter Ressel, Chief Executive Officer of Lazada Malaysia. The IdeaPad 120S is an 11.6 inch laptop, with Windows 10 Home, an Intel Celeron N3350 processor and an integrated graphics card. The device also has a two cell battery, and a 64G eMMC. It comes with a one-year carry-in warranty and is available in Denim Blue, Mineral Grey, Blizzard White and Ballerina Pink. The IdeaPad 320 comes with Windows 10 Home, an Intel Core i5 processor and a NVIDIA GEFORCE GT940MX 2GB DDR5 graphics card. This device is equipped with 4GB RAM, 2TB HDD, and a two-year onsite warranty. The IdeaPad 320 2TB is available in Onyx Black and Platinum Grey. Price for the IdeaPad 120S is just RM 999, inclusive of GST, with the device available for purchase only at the Lenovo Official Online Store in Lazada Malaysia. Price for the IdeaPad 320 starts from just RM 2,699, inclusive of GST, with the device available for purchase only at the Lenovo Official Online Store in Lazada Malaysia.